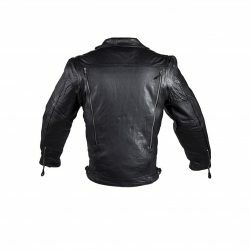 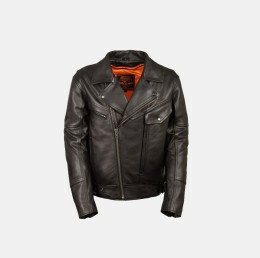 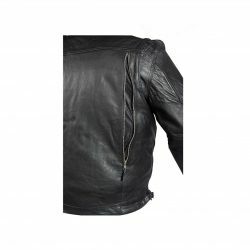 Leather Jackets have been used to protect riders since the beginning of the motorcycle industry, the classic leather jacket is a timeless design that shows what being a biker is. 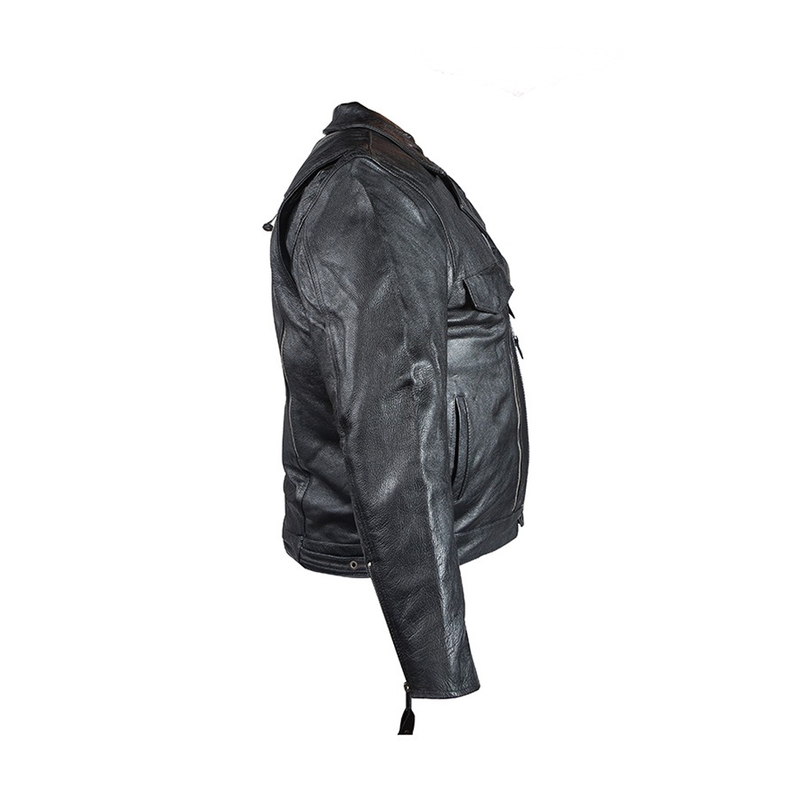 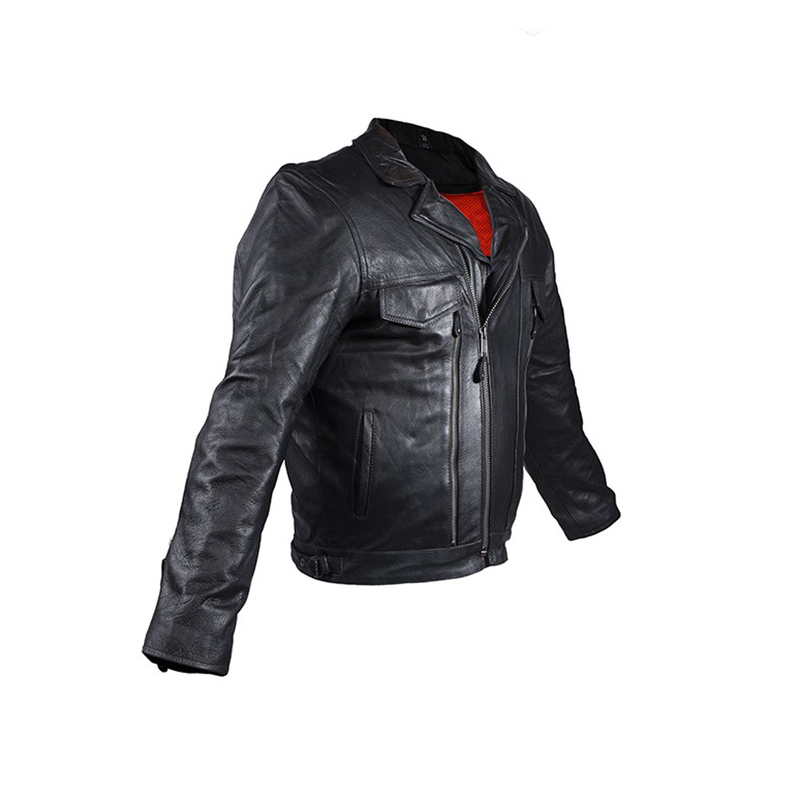 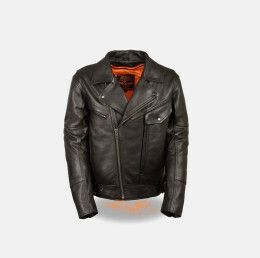 Dream Apparels heavy duty cowhide leather jacket keeps the tradition alive, with the standard snap down collar, side slip pockets, large front pockets with 2 slip pockets inside and front zipper closure will be sure to gear you up right on the next ride. 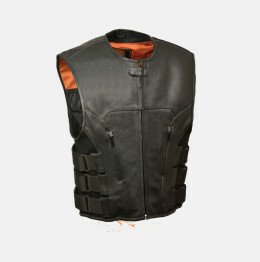 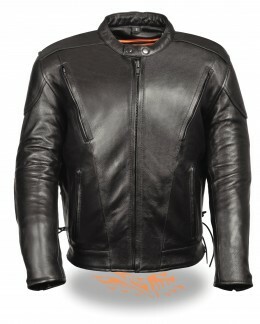 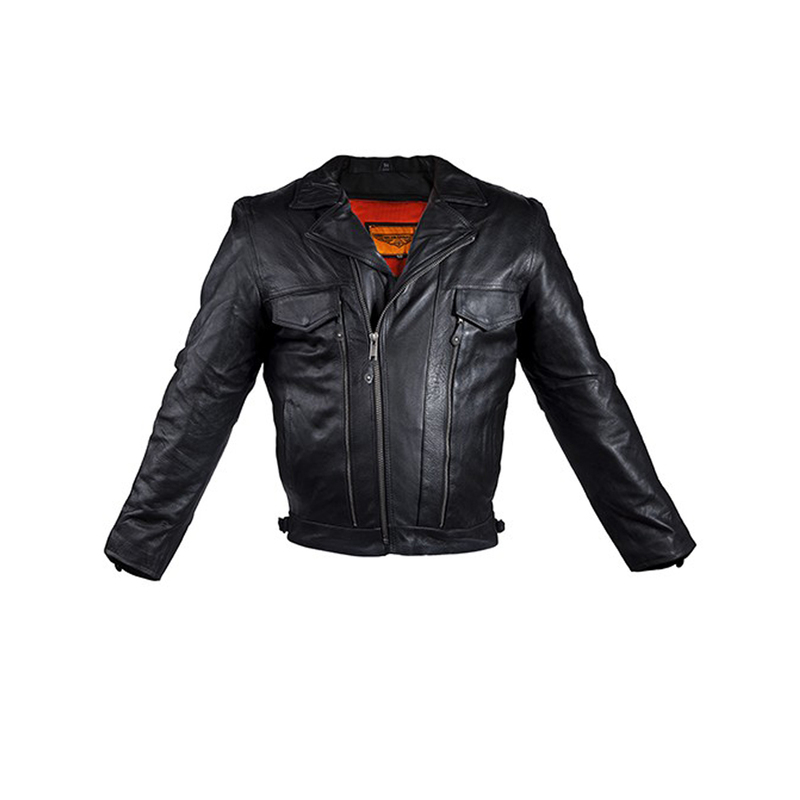 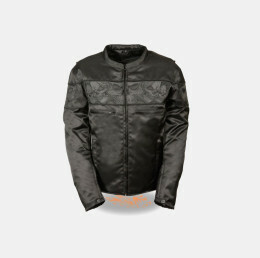 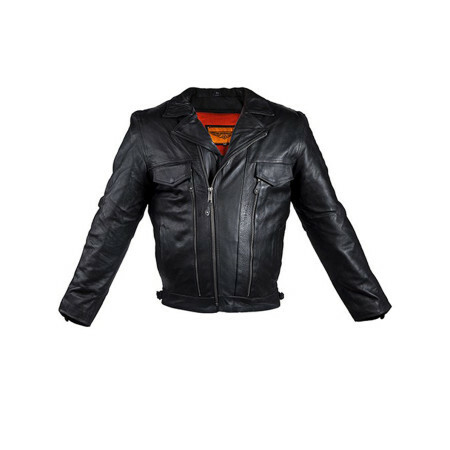 Adjustable side belt with steel buckle and zipper cuffs gives this fine cowhide leather jacket style and functionality. 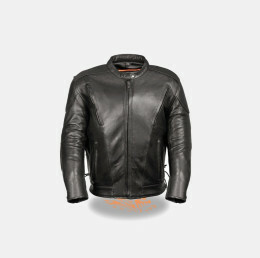 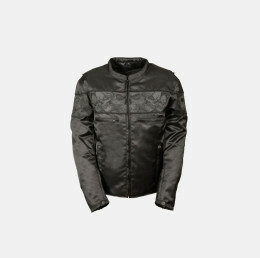 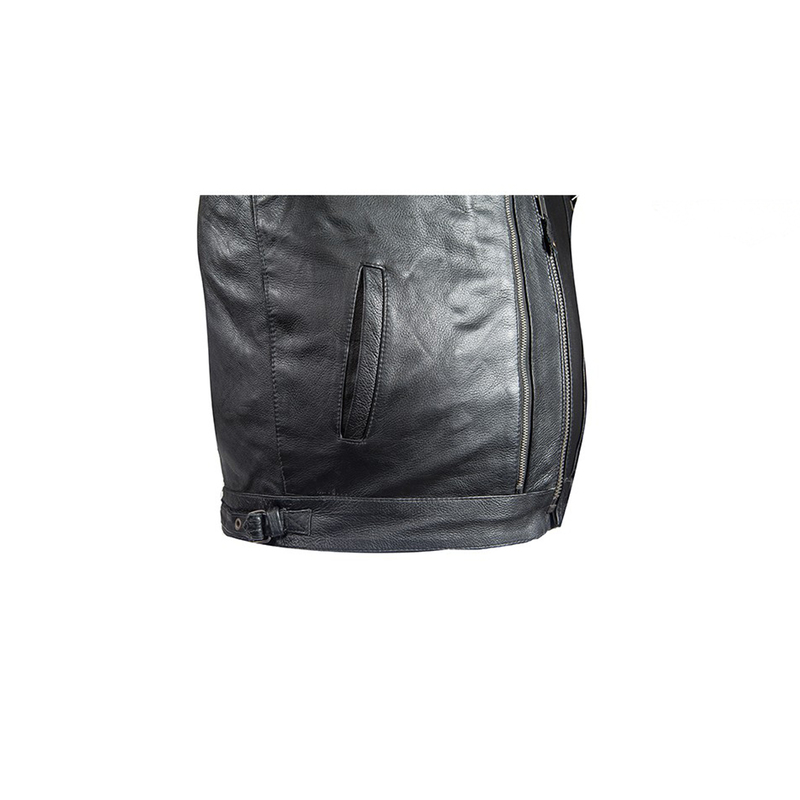 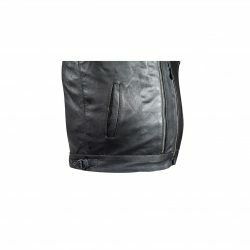 This leather is also equipped with zipper closure air vents front and back for an easy cool down and a full sleeve zip out liner so you can ride in a timeless fashion thru every season.